President Barack Obama has great taste. 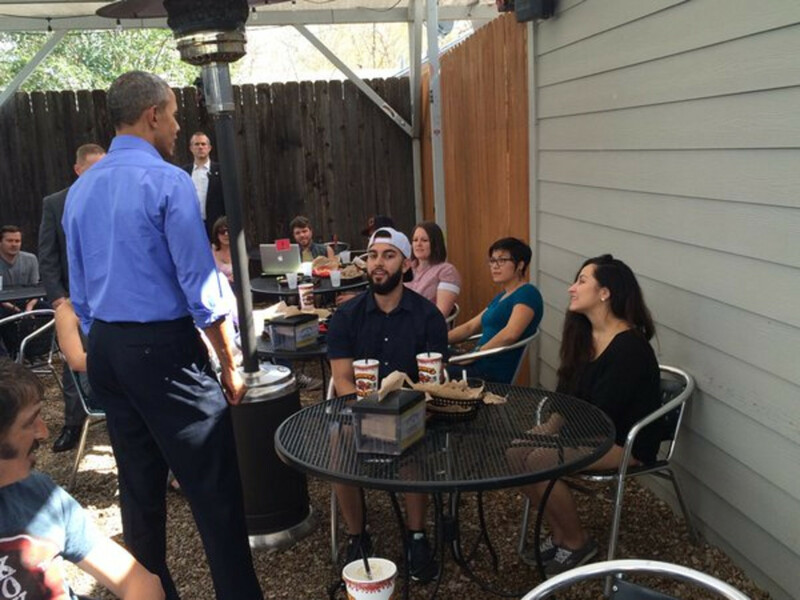 When the president visited Austin in summer 2014, he made a pit stop at Franklin Barbecue for famous brisket. This time around, he went for damn good tacos. On March 11, POTUS traveled to Austin for a buzzworthy SXSW appearance. En route to the Long Center for his keynote address, the presidential motorcade stopped at the Torchy's Tacos on South First Street. According to a flurry of tweets from journalists, President Obama snagged tacos for himself, his staff, and Mayor Steve Adler. In a politically correct move, he ordered a Democrat (beef barbacoa), a Republican (jalapeño sausage), and an Independent (fried portobello). "Because I'm bipartisan," reports Reuters White House correspondent Jeff Mason. A well-rounded order if you ask us. The only thing missing? Torchy's hatch chile queso, but as Adler explains, "You don't order queso when you're in the motorcade." After his SXSW appearance, the president will deliver remarks at a Democratic National Convention event. He then departs for Dallas, where he will stay overnight. First lady Michelle Obama also will appear at SXSW 2016. She speaks as part of SXSW Music on March 16.